Salihou Soukuna is the general secretary of the Conserje of the circle du Diema, therefore his opinion is highly regarded in the town. 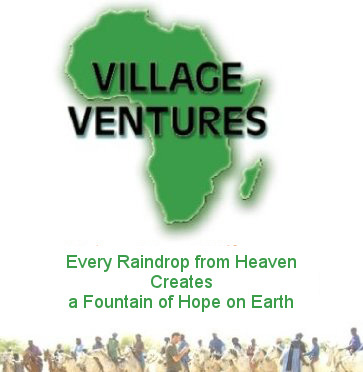 He is also the deputy director of Village Ventures in this town. Salihou and I discussed all issues relating to the development and sustenance of the Village Ventures and its programmes here in Diema to date. Salihou began the meeting with his own development story…When I first came to this town no-one including Salihou, had seen computers except on TV. Now many including 4 schools have access to a computer. He also stated that over the past months many people have asked where he received such knowledge, his reply was that he gained his skills through the Village Ventures programmes. His next report was that since he acquired so many new skills he has started to teach others computer basics. To date his taught 2 people and others are waiting to learn of his knowledge. We discussed solar cookers and how they are changing peoples ideas on heat and fire. For example John Gunda one of our local leaders in the town asked if he could have one of the cookers. Because of his enthusiasm for this type of cooking and the fact that he was based in the town centre, knew many people his request was accepted. Now many people visit his home to see how this modern technology works. One Fulani man came to see this magic, asking where was the fire, how did we light it, and how did the water boil so quickly without either. He was told to put his hand toward the centre of the solar cooker where the suns rays reflected from the stainless steel panels and in a second he cried out in pain from the shock and heat coming from the cooker.! Wonderful to hear such comments. He will now transfer his new found knowledge to all he knows and people will become excited and interested to know more of the technology that saves on wood collecting and wood burning, no matches to buy, with little time wasted preparing a fire, women will have more time and energy for other things. We discussed Jesus our resident « Tramp » really just a totally neglected human being that everyone seemed to fear and they would beat when he came close to them. He has made great strides since we started to give him breakfast every morning of porridge, he comes at around 8am sits and waits for his food, after which he picks up our magazines and reads them (looks at the pictures over and over) laughing and chuckling to himself. In the afternoon he comes and relaxes for an hour or two. He also goes to bath and the local borehole and took it upon himself to learn how to ride the guardians bicycle. Now he goes up to half a kilometre on the bike, absolutely brilliant! What a changed life! I hope that someday soon he will accept a bicycle from me. He is very reluctant to take anything but food at the present time. A decision was made to give a small amount of cash and a sewing machine to a Bedouin family, who will try to set up a business making and selling gazebos. A tent covered with mosquito netting, these tents should sell well if produced to a good standard and help in the prevention of malaria. Children who normally beg on the crossroads have again been encouraged to come and learn to earn by doing odd jobs around the centre, then are given food and a small gift and a coin for their efforts. We hope that this simple proceedure will be of benefit to all who have the need to beg here in diema. Dama, the guardian of Village ventures centre is being encouraged to learn to read and write as he is now the manager on site. It is important that he gains these skills as volunteers and many visitors come to see the centre.